Understanding and disclosing climate impacts and risks throughout the investment value chain is an issue that has been rapidly rising in prominence in the global financial, political and corporate agenda. Climate change poses a significant financial risk and the potential impact on global markets include shocks and losses if the shift to low and zero-carbon energy sources is not well managed, the revaluation of carbon-intensive assets, or of those that depend on the extraction or use of fossil fuels and the potential for prudential and environmental policy responses, all of which have could have a significant impact on business strategies. Investors decide where large sums of money are invested, such as in energy companies or in companies with a large land use impact. So, investors are financing activities which have high levels of carbon emissions, for example from burning fossil fuels or deforestation. The emissions intensity of investments made in the year, so called ‘financed emissions’, is one way to understand current global emissions and can be used to forecast future emissions because investments often have a long life. In other words if you follow the money you can better understand carbon risk. ‘Financed emissions risk’ is the risk that regulatory restrictions on emissions / related activities, social shifts or technological advances will add costs, competition and limitations that have a material and adverse impact on the creditworthiness and equity value of emitters that financial institutions are exposed to. Financed emissions risk can be another term for ‘climate related financial risk’. The value at risk as a result of climate change, to the total global stock of manageable assets ranges from $4.2 trillion to $43 trillion between now and the end of the century. As such, asset managers and asset owners are therefore coming under increasing pressure to disclose and manage the climate related financial risks they are exposed to through their investments. Of the 370 shareholder resolutions filed in 2016 relating to environmental and social issues in the U.S., a record 94 were related to climate change. Sitting at the top of the investment value chain and making decisions that often impact decades worth of emissions, we believe asset managers and owners are incredibly important to driving decarbonisation through their own action and engagement with investees and the market. One such area that creates risk and opportunities for financial institutions, and is often overlooked, relates to nature. Land use related emissions (deforestation, agriculture and other sources) are a major net source of global greenhouse gas (GHG) emissions, contributing about a quarter of the annual total, and are therefore an important segment of emissions to be reduced in order to meet the goals of the Paris Agreement, and represent a source of financed emissions risk. However, this sector also represents a major opportunity for cost-effective emissions reductions and major social and environmental co-benefits. 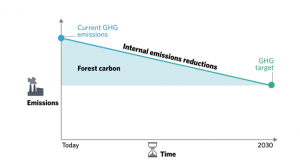 So-called ‘natural climate solutions’ have a critical role to play in achieving global climate goals and have the potential to deliver 37% of the emissions reductions needed at less than $100 per tonne, with a third of those costing less than $10 per tonne, and should be on the radar screen for all financial institutions. However, despite this potential, the land use sector and forest conservation are severely underfunded, only receiving <3% of public climate finance, and have received little attention to date as a climate risk or solution, for example, in 2018 only 455 companies disclosed on forests to the CDP compared to 6,937 on climate change. Therefore, it is imperative that private sector capital is mobilised to finance natural climate solutions, so that they deliver what is required for global climate goals. 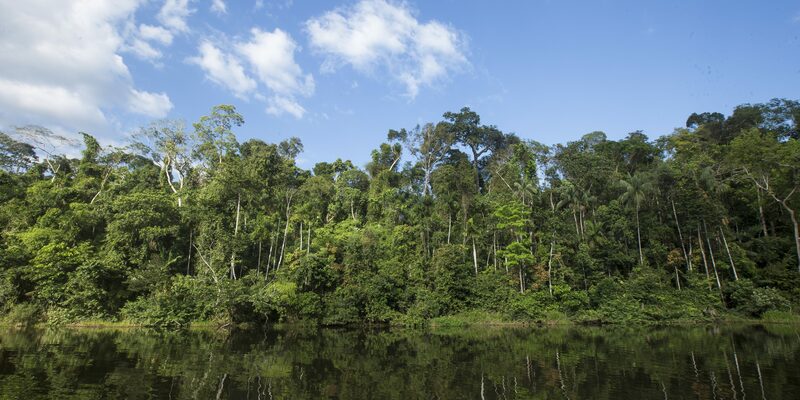 Natural climate solutions include protecting or restoring our forests, grasslands, wetlands, peatlands, agricultural land and coastal eco-systems, all with the potential to reduce, absorb and store carbon. The lowest-cost option is to prevent the conversion or destruction of our natural tropical forests in the first place. Forests, our planet’s greatest natural asset, deliver a range of vital ecosystems services, such as carbon sequestration, along with generating a broad range of social and ecological co-benefits. Forest conservation can be delivered at or below $10 per tonne of CO2e with many positive benefits for communities and ecosystems. This is the same as taking more than 600 million cars off the road, making this a compelling commercial, as well as environmental and social value case. Read more in our e-book ‘The Case for Forests’. To fully realise the potential globally for natural climate solutions, significant government action will be needed both to deliver land use reforms in country and to introduce compliance regimes which include regulations or a price on carbon in the land use sector. In the short term, carbon finance distributed through the voluntary carbon market is playing an important role in financing emissions reductions from this sector, through the potential to generate carbon ‘credits’ which can be used as a transitional tool to lower a corporate’s total net emissions today whilst longer term, more costly reductions are implemented. Many investors and financial institutions are actively engaging and stewarding investee companies on their GHG emissions, the quality of GHG disclosures, risk mitigation strategies and low carbon transition pathways. A recent study that stress tested the most commonly invested in indices by asset managers and owners demonstrated that none of indices are <2oC compliant. This study clearly indicates that asset managers and owners need to take increasingly active approaches to investing capital in the markets to achieve the Paris goals. Natural climate solutions could avoid millions of tonnes of emissions and help bring investments in line with Paris Agreement goals and are often missing from methodologies to account for avoided emissions. Work towards inclusion of direct and indirect land use related emissions in climate related disclosures and transition pathways. Asset managers directly invest in / purchasing credits to support natural climate solutions projects as a transitional tool to help mobilise much needed private sector capital and demonstrate alignment of an investment portfolio with <2oC pathway, thereby mitigating short-term financed emissions and deforestation risk today.